Rated 1 out of 5 by LogieBaby from To use a bowling term, this game is a GUTTER BALL ! 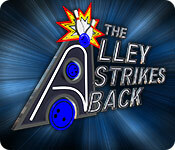 The Alley Strikes Back is a terrible version of balloon poppers. It has absolutely nothing to do with bowling. As someone who grew up at bowling lanes, I am appalled that the developer could so trivialize a wonderful sport. 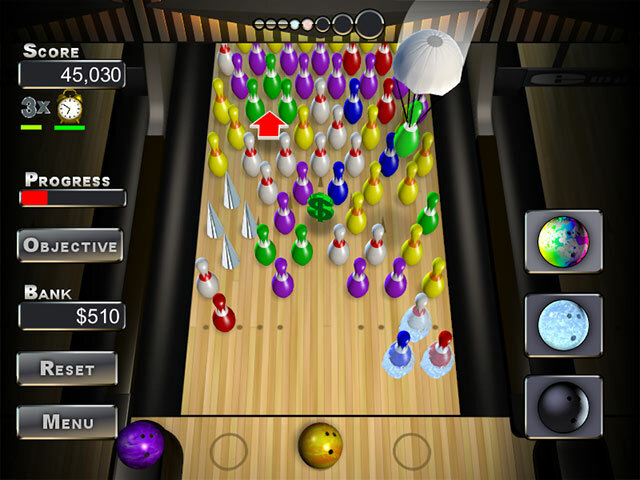 The premise it that renegade bowling pins are on the prowl and the bowler must remove them from the lane using variously colored balls to strike the same color pin. Should a pin reach the foul line, the bowler loses. If I want this type of game, I'll dig out my ancient Atari. 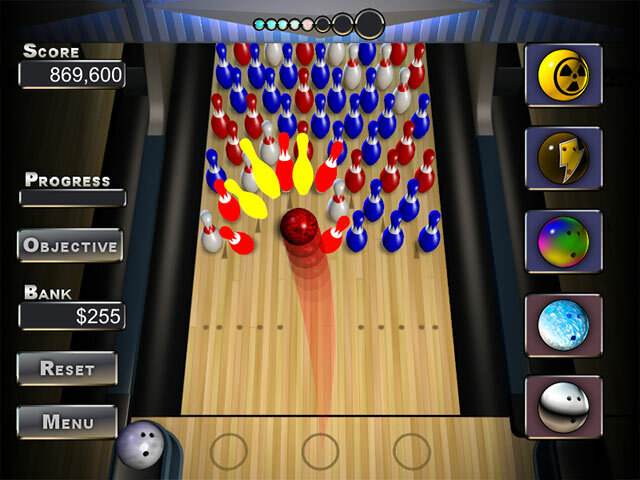 For some unknown reason, the entire 60 foot lane is not used, the player has 3 places at the foul line to place a ball and then just point and click to hit pins. 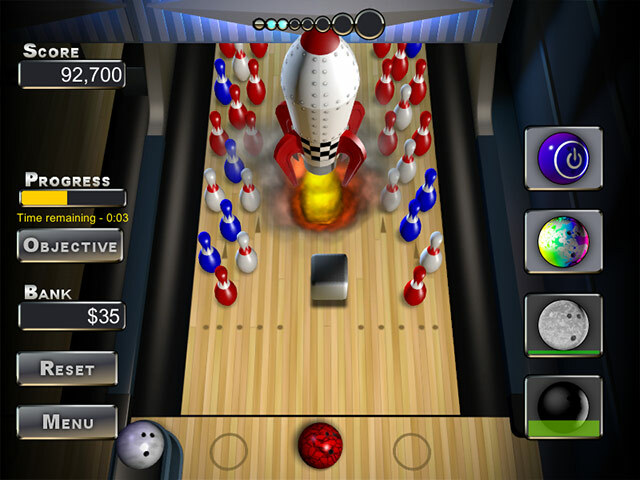 The player has no option to hook the ball. This game is in a word: awful. Why BFG offers on occasion games like this one is mindboggling.